Jobs4TN Online can save employers money in market research and recruiting activities. On the home page, www.jobs4tn.gov, Business Solutions and Labor Market Information are especially helpful for smaller employers. Jobs4TN Online has a robust employer database with contact information for particular businesses. If an employer is looking for specific businesses to sell to for a marketing campaign, for example, he can go to Industry Data under Labor Market Information, then Employers under Current Data Analysis and request local employer sites by industry or occupation within certain geographical areas. Maybe you are an employer looking for candidates for a job opening. 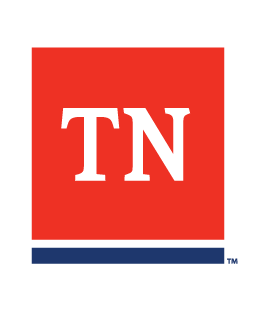 Currently, Jobs4TN Online contains 30,000 to 40,000 resumes and will soon have more. Go to Business Solutions and Looking for Employees to tailor a request to look at resumes. To list a position, you must first register as an employer at Post a Job under Business Solutions; then complete the requirements for the opening you wish to fill. You can search by skill level the job seekers who are registered. Jobs4TN Online also provides templates for posting jobs to speed up the process. Labor Market Information contains comparative wage data helpful to employers. Under Business Solutions an employer can see training available in his area, schools in a certain county, and trained graduates/program completers he might hire. Take a few moments to become familiar with www.jobs4tn.gov. The site can save you time by being a virtual recruiter for your business, and you will save money by not having to advertise.